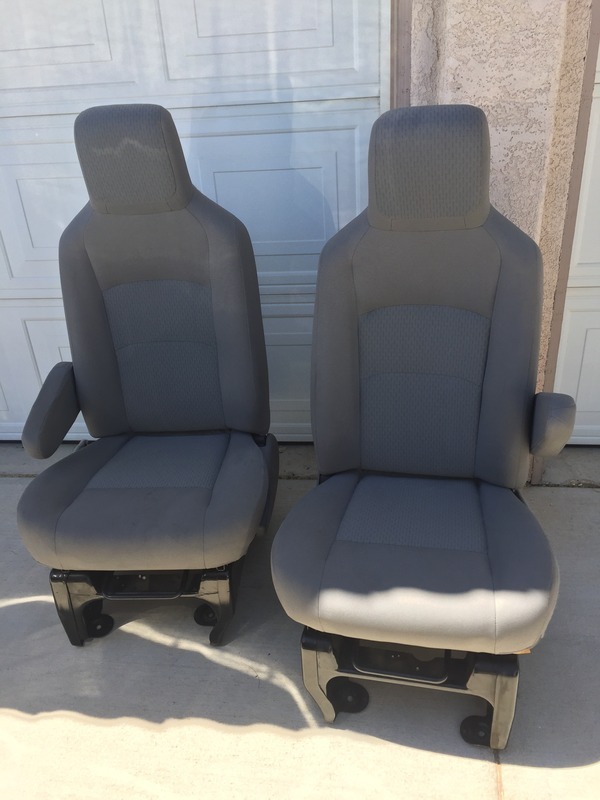 So I got some 2013 Grey Cloth seats with bases, but without seatbelt receptors. They are in good condition and have a few minor dirt spots where my dog tracked something in and decided to jump up on the drivers seat. Would probably steam clean right off. Make offer, pick up in Palmdale, CA. I also have the black rubber cab mat also in reasonable condition. Free if you drive up here to get it. I'll throw it in with the seats if you want it. Sorry Folks. These were gone almost immediately. My apologies for not following up with the SOLD.